Once again, out of nowhere, China-based Pangu Team has reignited the passion within the jailbreak community by releasing a jailbreak solution for iPhone, iPad and iPod touch devices running the previous unsupported iOS 9.3.3 – iOS 9.2 firmwares. With immediate availability, the tool is currently only available to those individuals who have a compatible device, and who are running a Windows machine, with support for Macs likely to come in a hopefully sooner-rather-than-later update. With iOS 10 out in the wild for developers and public testers, and the fact that Apple has purposely left the iOS 10 kernel unencrypted, there’s been a great deal of talk about a potential jailbreak solution being available when the firmware lands later this year. That chatter may have caused excitement initially, but Pangu Team has ensured that the talk of iOS 10 will be left behind, at least for the time being, as users with devices running the recently released iOS 9.3.3 go through the process of liberating it with this new semi-untethered solution. Available to download now, the latest jailbreak solution is what’s known as a semi-untethered (or semi-tethered) solution. Not exactly the holy grail of jailbreaking, but certainly better than a tethered-only option that would force the device to be ran through the software tool on computer again every time it was rebooted. With this solution, the Windows jailbreak tool installs a Pangu app on the connected device as part of the jailbreak. If the device is rebooted or powered down, that app then needs to be ran each time to execute the payload and put the device back into a jailbroken state. As for compatibility, the solution works with iPhone, iPad and iPod touches that are running iOS 9.2 to iOS 9.3.3, and that come with a 64-bit architecture. That means Pangu Team is offering support for devices like the iPhone 5s, iPhone 6, iPhone 6 Plus, iPhone 6s, iPhone 6s Plus, and of course, the latest 4-inch iPhone SE. iPad support is also extended to the first and second-generation iPad Air, the iPad mini 2/3/4, and of course the iPad Pro devices. The latest 64-bit iPod touch 6G is also supported. As always, we will be back soon with our full tutorial on how to actually jailbreak a compatible device with this new jailbreak tool. Stay tuned. UPDATE x1: Our full step by step tutorial is up! Follow it here: How To Jailbreak iOS 9.3.3 On iPhone 6s, 6, 6s Plus, 6 Plus, 5s, iPad, More [Tutorial]. UPDATE x2: Workaround guide for Mac OS X users is up at: Jailbreak iOS 9.3.3 On Mac OS X With Pangu For Windows [How-To Tutorial]. 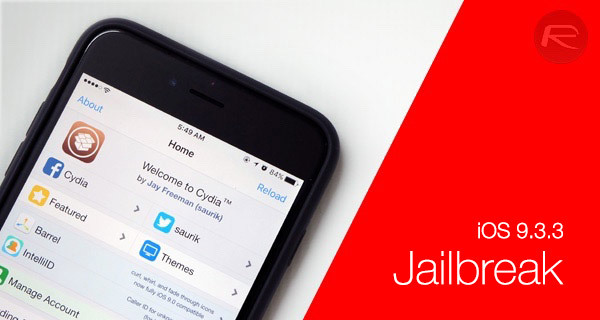 UPDATE x3: Check out iOS 9.3.3 compatible jailbreak tweaks list here. UPDATE x4: English version of the jailbreak is now available. You can download it from here, and follow the guide here. Note to the peanut gallery: If you get red text under your Apple ID and Pass login screen, it’s either because your password is wrong, or, because you have two factor authentication enabled. This PP app doesn’t know how to prompt your other Apple devices for authentication via two factor, so you’ll have to temporarily turn it off. So theres an actual jailbreak released…… Yet you dont update that ridiculously pathetic jailbreak update article? Did anyone else get this?? Is there a solution to it? in all other versions Pangu suggested to switch in flyght mode. so here that shouldn´t be the problem at this jb. tryed also without flight mode. also failed. Lets see if the english version is better to use. It´s really working??? On the Pangu page still no jb to download. But at this page. So it´s no fake the jb here? it asked me also a few times for Apple ID authentication. So skip it and try it ever and ever again, till it works? Is anyone having issues with downloading tweaks on Cydia? I can’t download any tweaks whatsoever and constantly keep getting errors and I don’t know what to do with it. Backup your device on iTunes and DFU update your device NOW before Apple stops signing iOS 9.3.3. Wait at least a week…preferably 2, before downloading Pangu jailbreak software until Pangu irons out the bugs in the software. Like the man said: it’s not the Holy Grail of untethered jailbreak we all prefer; but it’s not really a big deal to just run an app after (re)boot. In fact this could well be a desirable feature for running apps that won’t run on a jailbroken device. Totally agree. While I can understand everyone’s enthusiasm to liberate their iDevice, good things come to those who give the Devs a week or two to iron out the kinks first. Sachin most be the happiest person in the world right now. Android is for peasant bums & we here at Redmond Pie are Lords not peasants lad. Swapping untethered for semi tethered is stressful! Wait for official fix from the team ! Do not download the first version because it’s normally buggy. or just use XCon tweak when the untethered comes out. You can’t. It only supports 64 bit devices. What os the decode code for the pc file??? Isn’t 9.3.2 vulnerable to the TIFF image exploit problem? If I was you, I would research that. Even loading a webpage might be enough to exploit your phone. It’s the program you launch to re-activate the JB should you need to restart your phone. What is the white p app that comes with the jailbreak and how do I use it? Will we ever get 32 Bit??? Not coming, we are doomed. Same here, own an iPad mini 1.But i fucked up cause I updated, and J don’t have any more jailbreak. i have iphone 6 , from where i download 9.3.2 pangu jalbreak…. I’m also JB on 8.4 still haven’t updated mini 1st gen. I also have ipad pro 12.9 – 9.3.3 JB’d now and ipad air2 8.4 that’s JB’d. l made same mistake couple yrs ago going from ios7 into ios8 something when JB wasn’t available and had to wait a long time for new JB. Told myself to pay better attn from now on so that never happens again, because l was pissed at myself. Your not ready for JB’n yet, son…. on team pangus site the jailbreak isnt released yet, so how could it be released here?